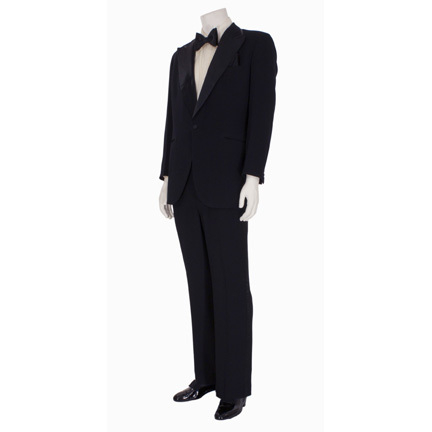 This complete tuxedo ensemble was worn by legendary entertainer Frank Sinatra in numerous public appearances and live performances in the mid 1970’s. The outfit consists of a black tuxedo jacket with peak satin lapels and satin edged collar, matching pants, white formal dress shirt with French cuffs, oversized satin bowtie, black silk pocket square, and pair of dress shoes. The jacket, pants, and vest were custom made for Mr. Sinatra by Cyril A. 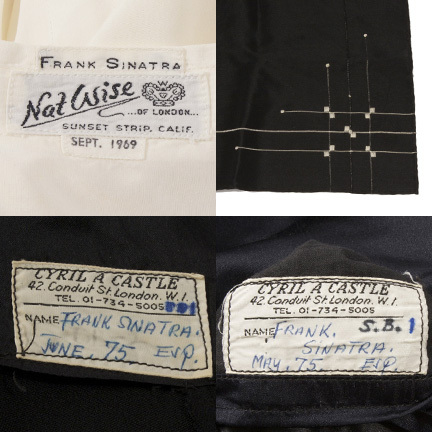 Castle of London and the garments are complete with the original tailoring labels sewn inside with “Frank Sinatra, Esq.” and the dates “May ‘75” and “June ‘75” handwritten in blue ink. The shirt was custom made for Mr. Sinatra at an earlier date by well-known shirt maker Nat Wise, and has the original tailoring label sewn into the collar with “Frank Sinatra” and date “Sept. 1969” clearly printed. 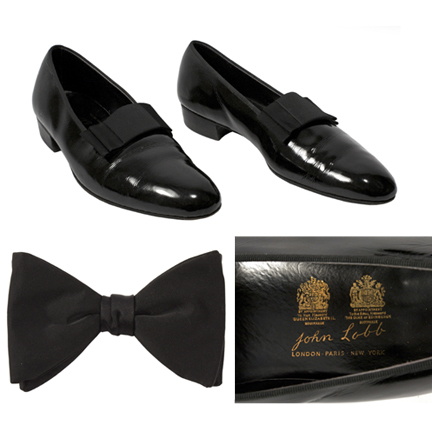 The slip-on dress shoes with grosgrain bows are black patent leather and were custom made for Mr. Sinatra by John Lobb, one of England’s oldest makers of luxury bench made shoes, whose clients have included King Edward VII, actor Daniel Day Lewis, and even the fictional character “James Bond”. 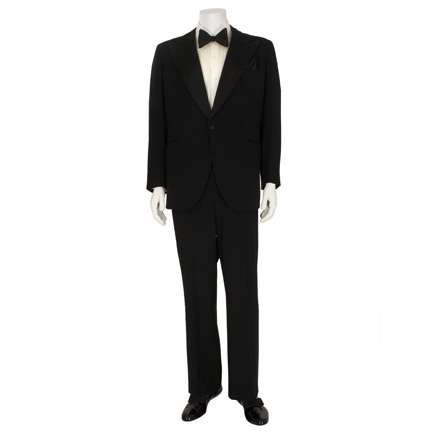 This tuxedo represents Mr. Sinatra’s iconic look that he carried throughout his career, appearing in formal dress at various well-documented live performances, high profile events, and parties. 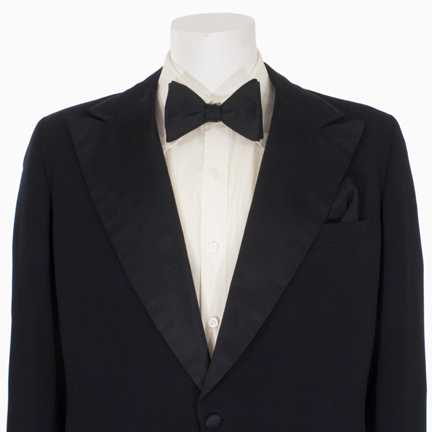 While there were minor variations in other tuxedos he wore throughout his lifetime, this ensemble perfectly represents his standard theme of formal dress with its impeccable tailoring and the jacket’s trademark satin lapels and shawl collar. 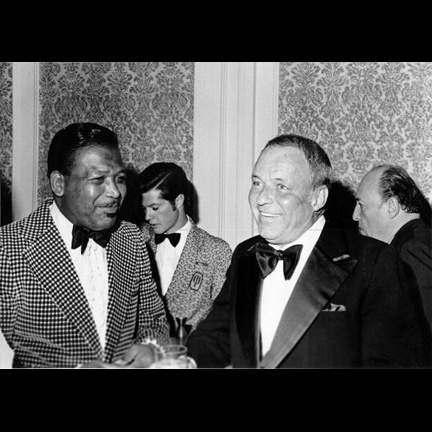 An image of Sinatra wearing a virtually identical tuxedo outfit was taken in 1965 when Sinatra attended an unidentified party where he met boxer Sugar Ray Leonard and is included here as an example of his signature style. Mr. Sinatra also appeared wearing similar style tuxedo and bowtie combinations on numerous album covers over the course of his illustrious career. 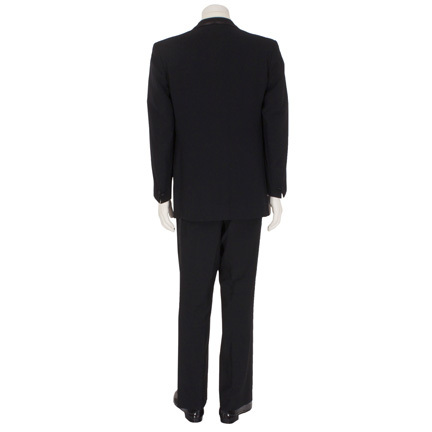 These garments were acquired directly from Mr. Sinatra’s personal costumer and longtime friend, Michael Castellano. 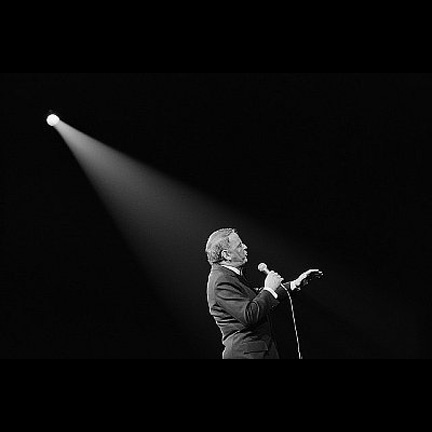 Mr. Castellano began working with the entertainer in 1976 after replacing Sinatra’s previous personal aid, Eddie Fitzsimmons. Mr. Castellano quickly became Sinatra’s “right hand man” and performed numerous duties for Mr. Sinatra while maintaining his stage and personal wardrobe collection. Mr. Castellano received these garments as a personal gift from Sinatra prior to leaving his service in 1981, and retained the items in his possession since that time. The garments are in very good condition with minor evidence of age and are accompanied by a letter of authenticity from Mr. Castellano. Presented by The Golden Closet, your premier source for iconic screen used wardrobe, props, and collectible music entertainment memorabilia.